I had plans to do nail art on this base, but after I had finished with the gradient and the ruffian, I just loved it too much to put anything over it. Sometimes leaving nail art simple is the best. 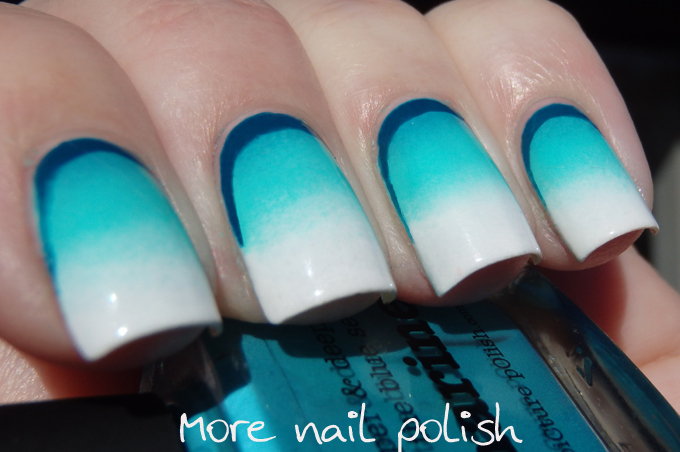 I was inspired by similar ruffian and gradient designs by both @somailicious and @thenailtrail. 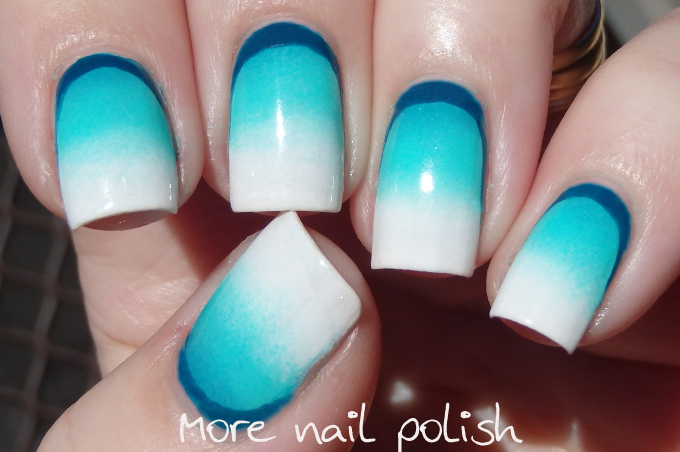 I used three colours for my gradient. 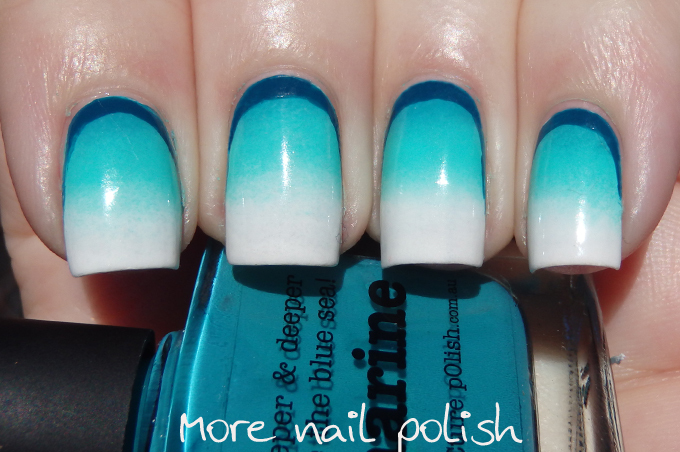 Picture Polish Bright White, Chillax and Marine. For the ruffian edge I used Face of Australia Mystique. Alos, don't you love it when your clothes just happen to match your nails. I already had this mani on, and grabbed this warm and snuggly Oakley jacket and it was as though I had planned a matching mani. Gradients always work and I love the combo with the ruffian edge! 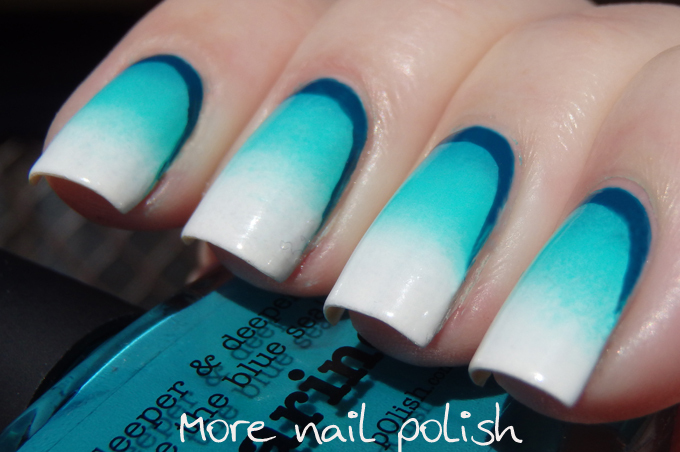 Did you actually draw that on after you did the gradient? Yes, I used a fine brush to paint on the ruffian after I had finished the gradient.